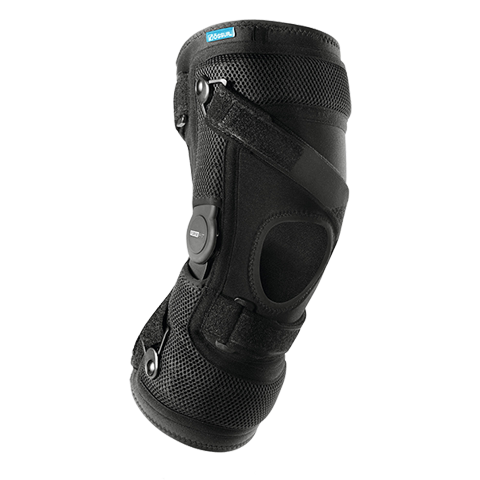 The Formfit Knee MCL provides external stability and protection for low to medium contact/impact activities and while recovering from injury. A unique, single hinged, hybrid wrap/sleeve design sets this brace apart from the competition. The lateral, range of motion hinge keeps the medial side free of obstruction. The Dynamic Force Strap aids in the resistance of valgus forces during knee extension, while the adjustable tibial strap improves suspension by minimizing slippage.